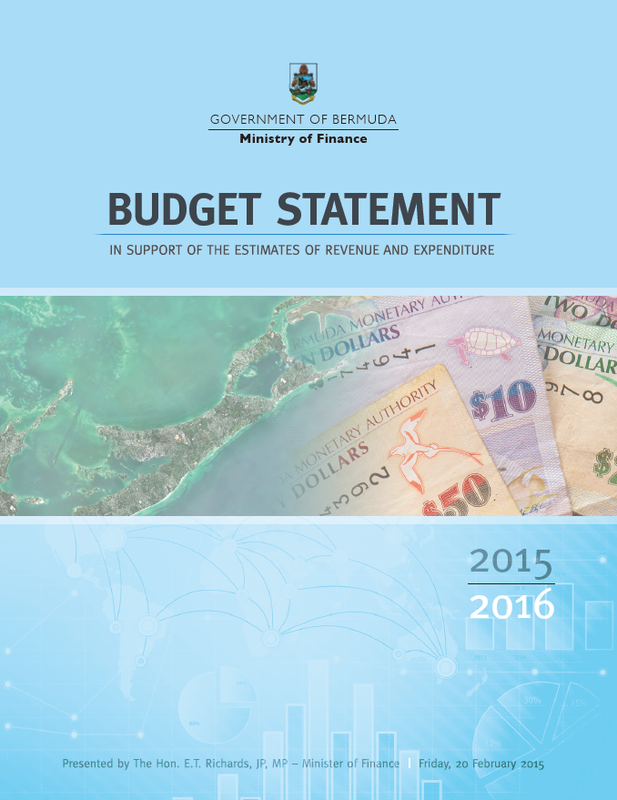 2015 Budget Statement In support of the Estimates of Revenue and Expenditure 2015-2016. Presented by The Hon. E.T. Richards, JP, MP, Minister of Finance. 20 February 2015. 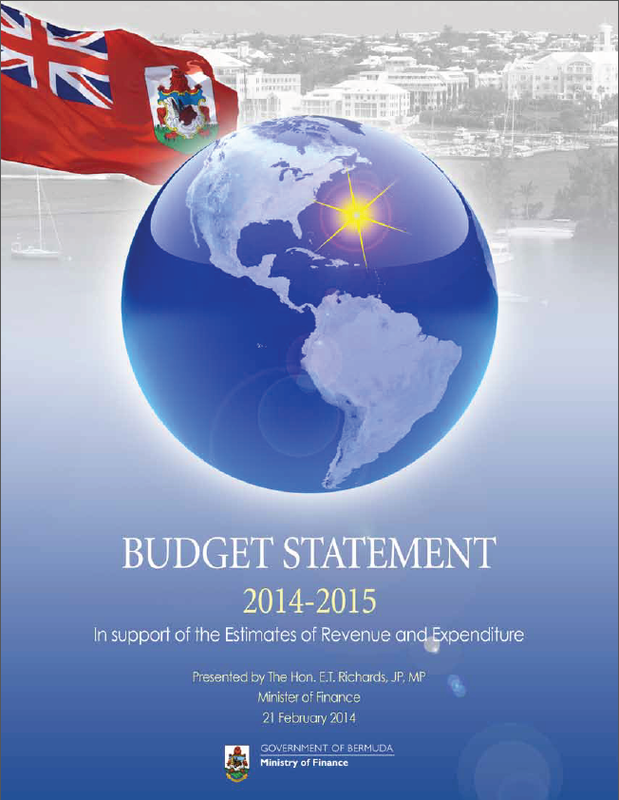 2014 Budget Statement In support of the Estimates of Revenue and Expenditure 2014-2015. Presented by The Hon. E.T. Richards, JP, MP, Minister of Finance. 21 February 2014. 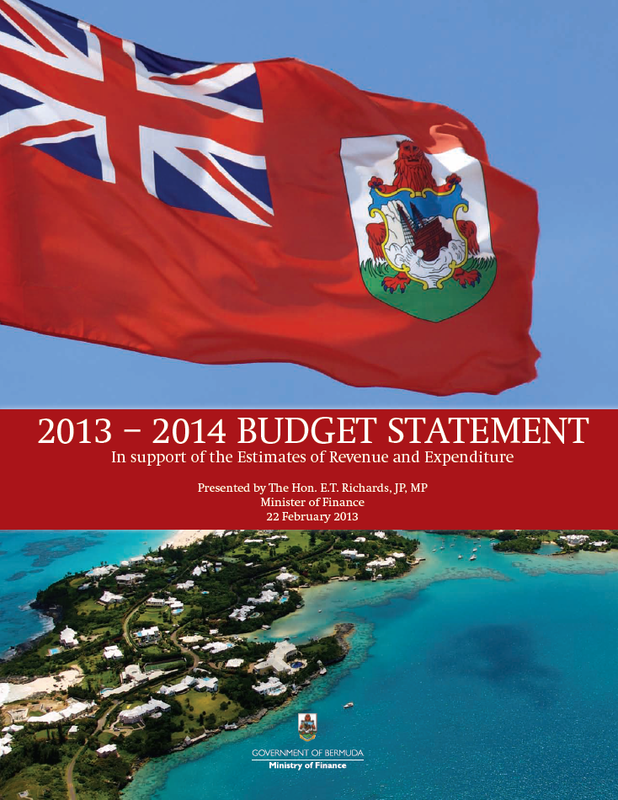 Budget Statement In support of the Estimates of Revenue and Expenditure 2013-2014. Presented by The Hon. E.T. Richards, JP, MP, Minister of Finance. 22 February 2013. 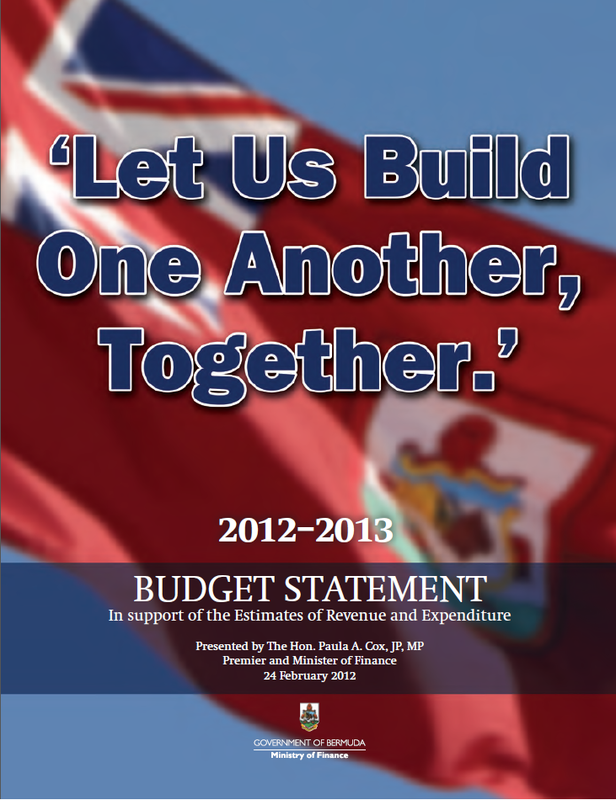 2012 Budget Statement In support of the Estimates of Revenue and Expenditure 2012-2013: Let Us Build One Another, Together. Presented by The Hon. Paula A. Cox, J.P., M.P., Premier and Minister of Finance. 24 February 2012. 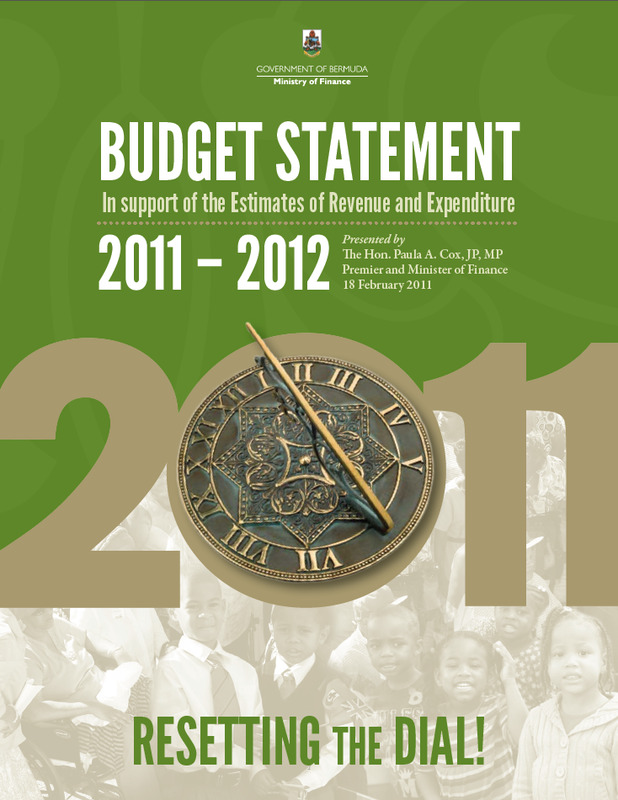 2011 Budget Statement In support of the Estimates of Revenue and Expenditure 2011-2012: Resetting the Dial. Presented by The Hon. Paula A. Cox, J.P., M.P., Minister of Finance. 18 February 2011. 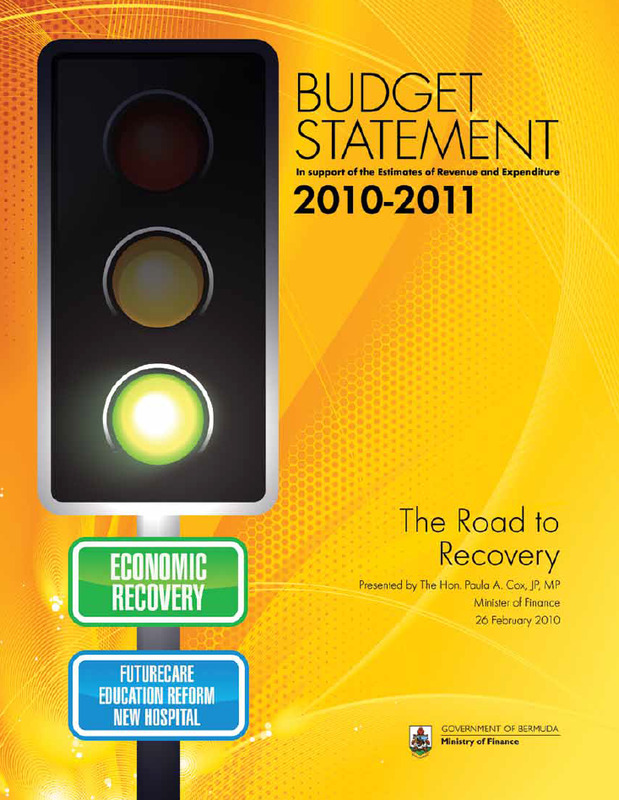 2010 Budget Statement In support of the Estimates of Revenue and Expenditure 2010-2011: The Road to Recovery. Presented by The Hon. Paula A. Cox, J.P., M.P., Minister of Finance. 12 February 2010. 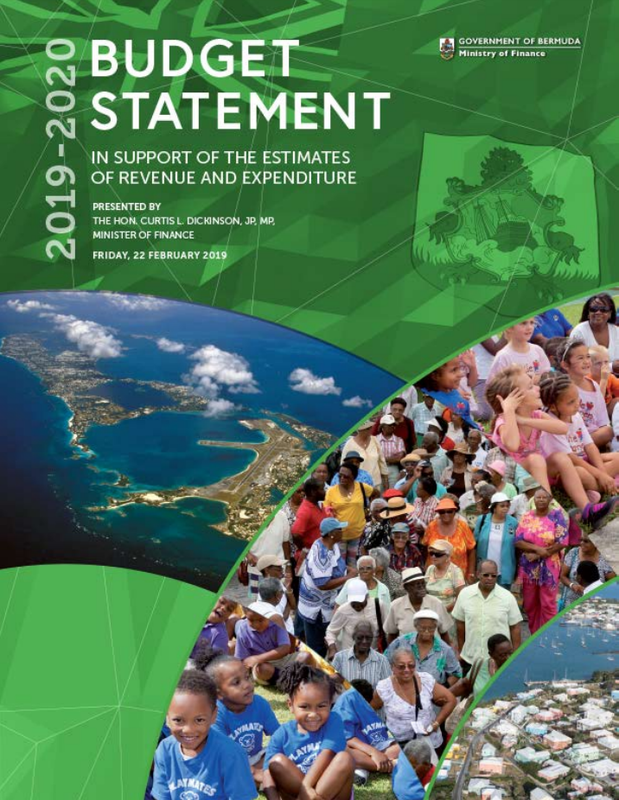 2009 Budget Statement In support of the Estimates of Revenue and Expenditure 2009-2010. Presented by The Hon. Paula A. Cox, J.P., M.P., Minister of Finance. 20 February 2009. 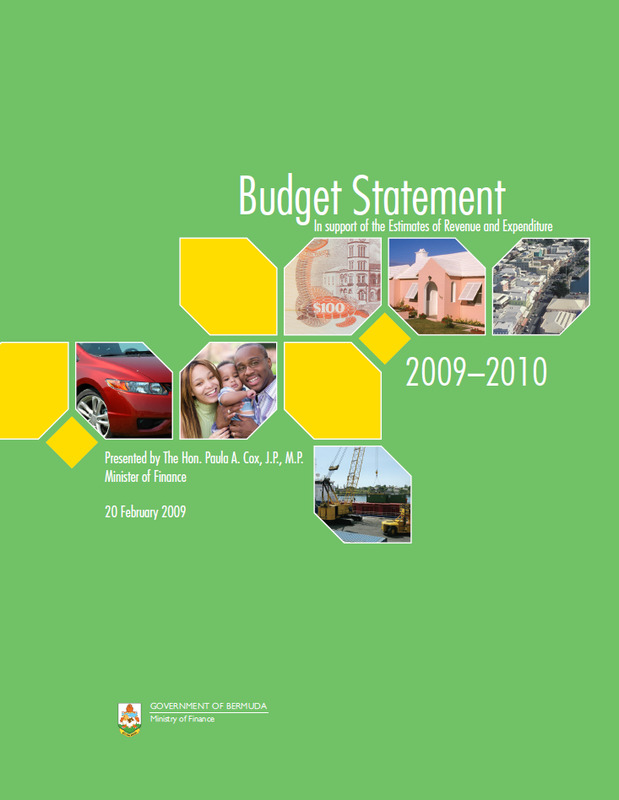 2008 Budget Statement In support of the Estimates of Revenue and Expenditure 2008-2009. Presented by The Hon. Paula A. Cox, J.P., M.P., Minister of Finance. 15 February 2008. 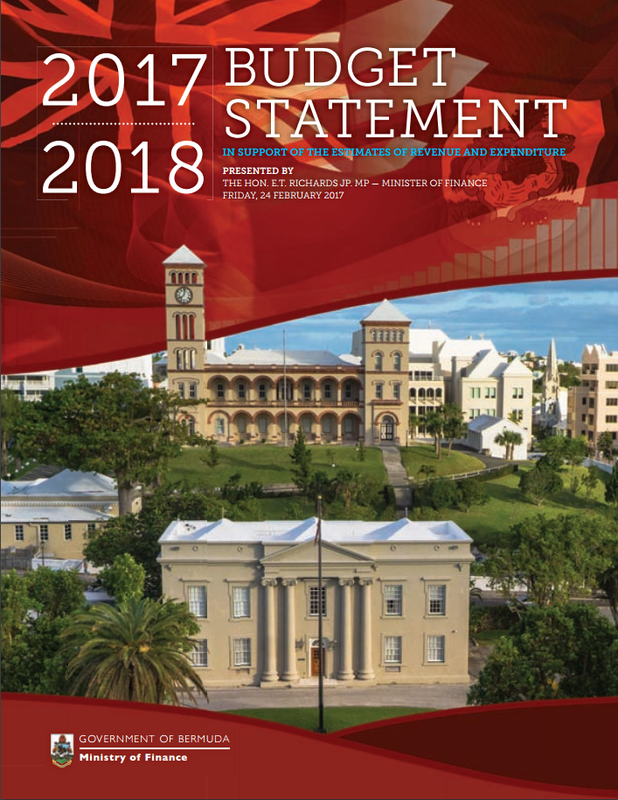 2007 Budget Statement In support of the Estimates of Revenue and Expenditure 2007-2008. Presented by The Hon. Paula A. Cox, J.P., M.P., Minister of Finance. 16 February 2007. 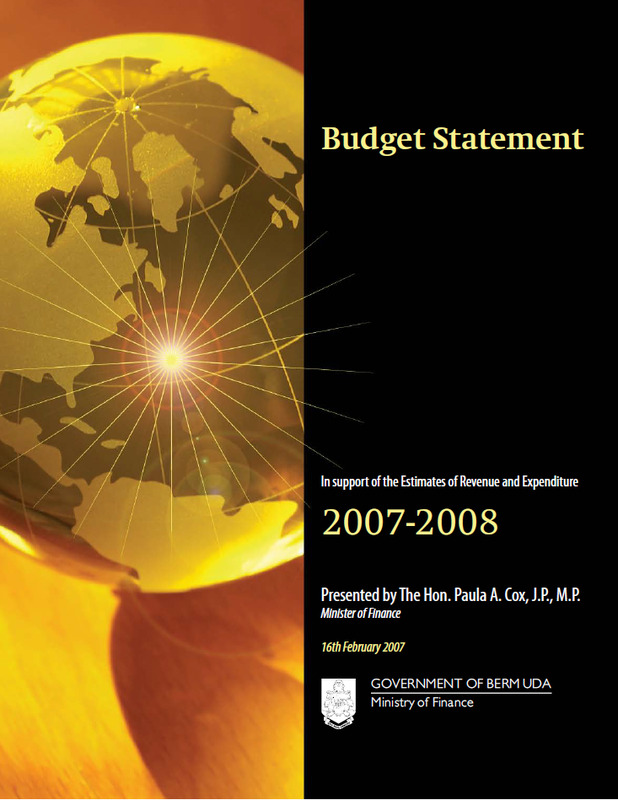 2006 Budget Statement In support of the Estimates of Revenue and Expenditure 2006-2007. Presented by The Hon. Paula A. Cox, J.P., M.P., Minister of Finance. February 2006. 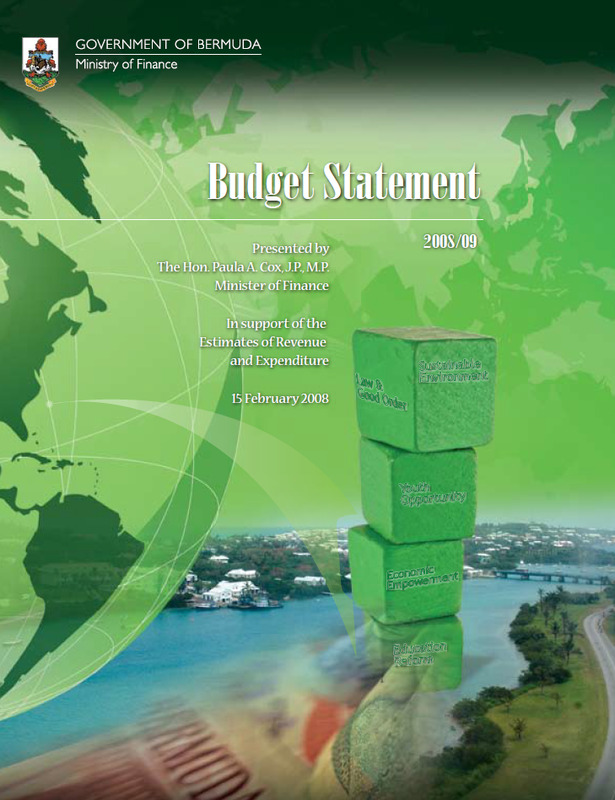 2005 Budget Statement In support of the Estimates of Revenue and Expenditure 2005-2006. Presented by The Hon. Paula A. Cox, J.P., M.P., Minister of Finance. 18 February 2005. 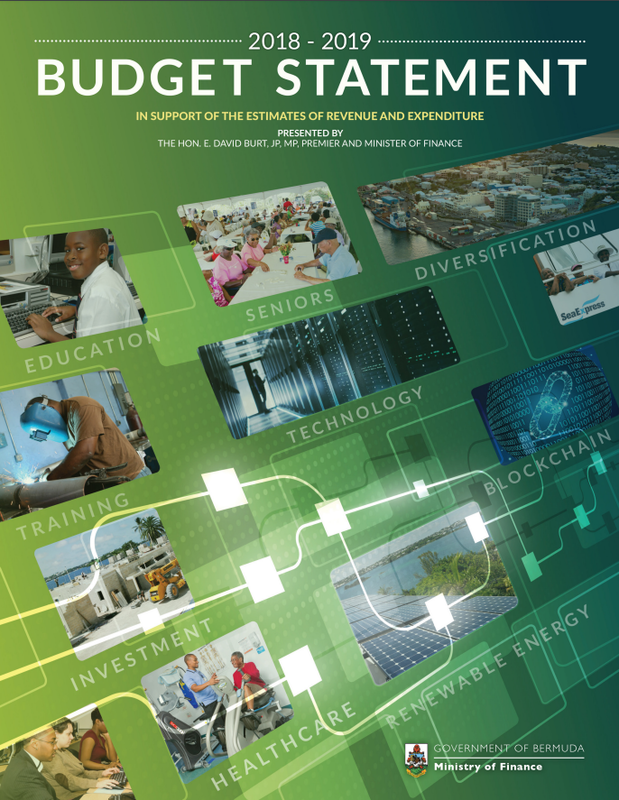 2004 Budget Statement In support of the Estimates of Revenue and Expenditure 2004-2005. Presented by The Hon. Paula A. Cox, J.P., M.P., Minister of Finance. February 2004. 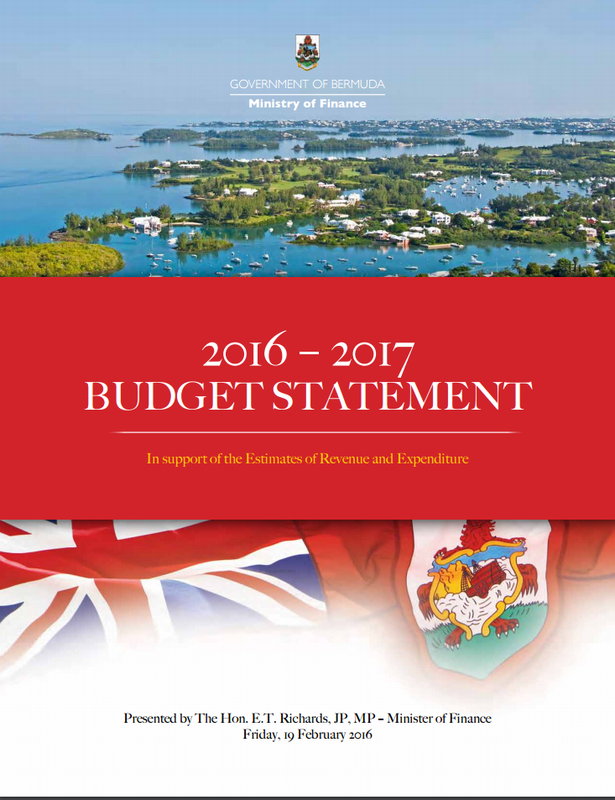 2003 Budget Statement In support of the Estimates of Revenue and Expenditure 2003-2004. Presented by The Hon. C. Eugene Cox, J.P., M.P., Minister of Finance. February 2003. 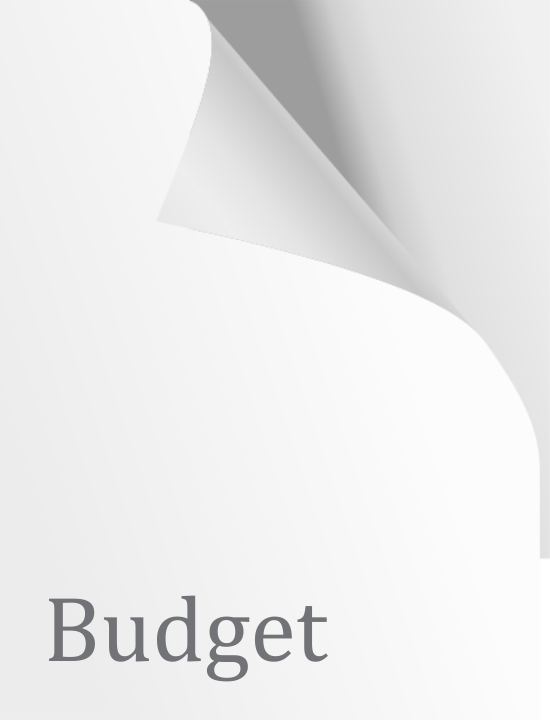 2002 Budget Statement In support of the Estimates of Revenue and Expenditure 2002-2003. Presented by The Hon. C. Eugene Cox, J.P., M.P., Minister of Finance. 15 February 2002.